Home » Gaming » Did Target Drop Dime on a Game of Thrones game? Did Target Drop Dime on a Game of Thrones game? 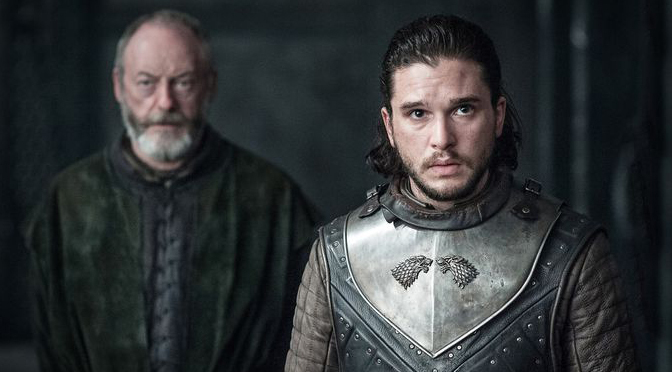 Depending on how you are feeling after last night’s Game of Thrones finale, you are either eagerly anticipating the final season or just shaking your head in disgust. Either way, considering that the show has been on since 2011, it stands to ask why this hot property hasn’t been done as a proper RPG game. Sure there was the abysmal effort done by Atlus which rated poorly by IGN and a few other outlets. There was the Telltale games which have done decently over the years. But, there has never been a serious concerted effort at putting together a top notch AAA Game of Thrones game. However, did Target accidentally release info that a Game of Thrones game may be in development? A NeoGaf user spotted this placeholder on Target’s page which could mean anything especially since Bethesda is notoriously tightlipped on any of their games in development. It’s stranger still that of all places it would be Target but you can never tell with mistakes like this. Considering Bethesda’s track record on the Elder Scrolls and Fallout games, they are the only company one could trust that should such a game is developed and released, it would be done well. The biggest takeaway is that this is still rumor right now and I wouldn’t be surprised if the listing is taken down soon but it does present questions should this come true. Until then, it’s best to wait for an announcement before any true speculation can be made. In the meantime, check out this listing for any mods you may want to try to extend your stay in Westeros while we wait for the final season.